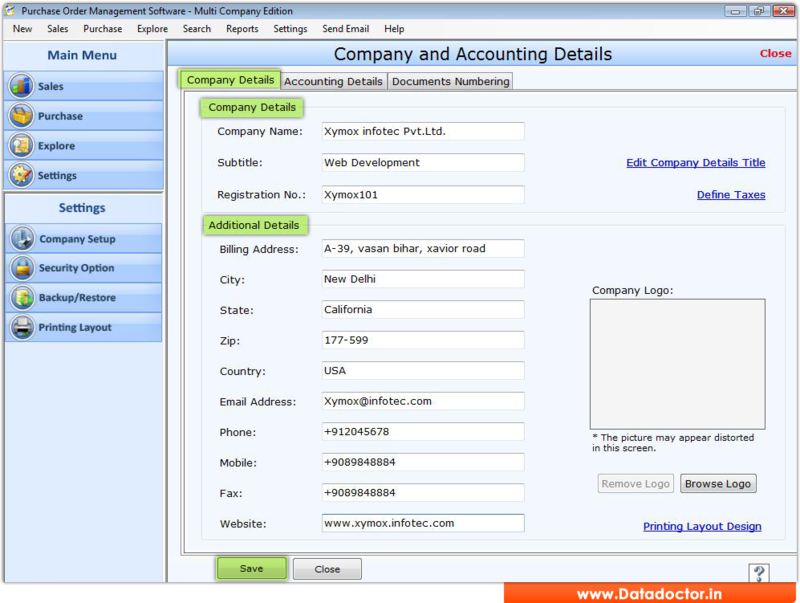 Multi Company Purchase Order Software facilitates users to manage sales and purchase transaction details of various companies. PO organizer program maintains customer, vendor, stock item transaction records for any small to large scale business organization. Purchase order software provides data backup facility to restore crucial purchase order files and keep records safe in any data loss situations. Multi Company Purchase Order Software prepares invoice, item transaction reports to view entire business review. PO organizer software automates your record management process and facilitates to end manual paper work of managing inventory details. Purchase order software facilitates users to maintain various report of delivery, receipt, deposit and all other business transaction details.